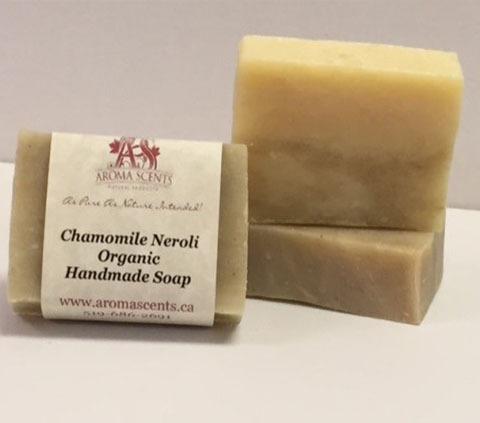 This handcrafted Chamomile Neroli natural bar soap has an essential oil blend of Chamomile and Neroli for a pleasant and sweet, floral indulgence that has a dab of citrus that won’t overwhelm you. It is delicately sweet and complex, along with generous portions of shea butter. Both chamomile and bergamot are stress-busters, and the two ingredients work together to create a synergy for a lovely, calming scent. ​You end up with a marriage of sensory and physical benefits!